So googled this but no definitive answers as far as I can tell - when the game occasionally hard crashes forcing a PC reset -STeam no longer is aware I have the full Arma game as well as 100GB of mods in the Workshop folder. Its all there yet nothing I do ie restart steam etc fixes the problem and I actually have to delete all the old files or Steam wont download it as it doesnt have enough space..for Arma3..which is still on the HD thereby taking up the space...... ......So itll be a full overnight download of almost 200gb - anyone know a better fix ? Hello Community, As the title suggested my question is pretty short. Can you publish a custom made campaign (with chapters and stuff) on the Steam workshop? If that's possible I would be really glad to know how to do that. Thx! Well, it's been a while since I posted, huh? Nothing that much has changed in my situation. I can't even find the original thread I posted so long ago, to be honest. Well, the same issues are being had. I am trying to run the game, but it immediately crashes upon booting to the menu. Relevant system specs are here: Processor: AMD A10-6700 Memory: 8 GB Graphics: Integral GPU, not specified but probably a cheapo POS Storage: 1x 1TiB HDD Operating System: Arch Linux, attempting to run the game through SteamOS and Proton. Mods installed: None The crash log is right over here. If anyone can help me with this, please do. Can We Get Family Library Sharing On Steam Again? Hi! I want to unlink my Bohemia Interactive account from my Steam account but I've not found any settings where I could do this. Please help. Thanks. Hello. I have purchased ArmA III quite some time ago, but a very serious problem has been affecting me. Essentially, every single time I attempt to run the game, it crashes before it even gets to the title screen. I have the crash log over here. If you can tell me what is happening to cause this error, please tell me. This crash happened when I was using the SteamOS version of the game, on both the Fedora distribution of Linux (based on Red Hat Enterprise Linux) and the Antergos distribution (based on Arch Linux; it's labeled as such in the crash log for some reason). If any of you can provide help, please do so. So recently I keep getting stuck on this update, loop prior to this issue I tried completely uninstalling and verifying my game cache to no success. 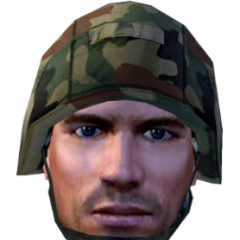 I attempted to fresh install Arma and it just sits and reads the files, nothing else. Can you help? Hi there, Need some support. I have lost the ability to control when mods download for Arma 3. I want to be able to select a list of mods via the launcher from the workshop and queue them up for download, but i might not want to download them straight away i want to choose when to download these mods. I used to be able to control this via steam downloads but the launchers list of mods to download does not get imported properly into steam downloads anymore. I have settings in steam to stop downloads when playing a game but these now seem to be ignored so if i have mods needing to downloaded in the launcher the launcher carries on downloading them regardless of if i start a game or not. I cannot pause the downloads in the launcher as there is not such functionality, I cannot pause the downloads for arma3 mods in steam downloads because the steam downloads pause button seems to have no effect. The only way i can take back control is to unsubscribe from the queued up yet to be downloaded mods in the workshop and then re-subscribe to them when i want to download them, but this is a pain of a workaround. EDIT - Pressing the Pause button pauses the download for about 2 seconds then it just starts again.